What are the benefits of online clothes shopping? There are many benefits. Some you may have never even thought about. Today's online shopping experience offers a great selection of sizes, brands and styles, including friendly, no-hassle return policies. You just can't beat the variety when you go shopping online. There is a limitless selection of styles and sizes to choose from. Whether you live near a shopping center or you live miles and miles from a mall or boutique, there is always more women's clothing available online. No hassles when shopping. There are no lines, no crowds, no pushy salespeople and no heavy shopping bags to carry around. 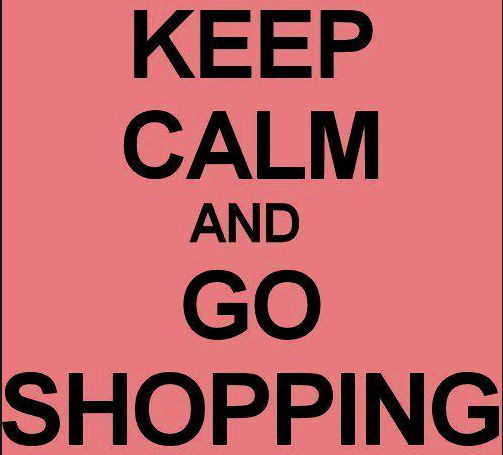 This is especially helpful during the winter holiday shopping season. The stores are always open. You can shop when it's convenient for your schedule or when you can't sleep because you don't know what you're going to wear to a big event or hot date that's coming up. You can shop smarter. Open a few browser windows and shop different stores side-by-side to find the best prices, your favorite color and your size. You can even browse websites featuring celebrity fashions and compare their looks to the women's clothes you find online. Stay at home. There's no need to drive anywhere. You can stay in your pajamas and enjoy being at home and even save money on gas. The merchandise will be delivered right to your door. Stick to your budget. Few shoppers sit down and add up their receipts when they're out shopping. When you buy clothes online, however, you can keep a close eye on your budget. Open a browser window to check your bank balance or open up your computer's calculator to keep tabs. Get online savings. The best deals can be had when you sign up for e-mail lists or search for online coupon codes before you shop at your favorite retailer sites. Make sure you are aware of the retailer return policies. This is so important when shopping online or at your favorite local store. Store return policies can change often. Follow some basic guidelines and tips next time you go online clothes shopping or anything else for that matter. Use your favorite search engine such as Google or Bing when you know what you are looking for. When you're typing in a search, try to be precise without being too specific. For example, if you want women's jeans and you prefer a boot cut style, type in "boot cut jeans," but don't get carried away and type "boot cut jeans size 18 dark wash with embellished back pockets." You may limit the search too much and miss out on the search results you really want. Know your size before you start. Use a women's Measurement Guide to learn how to properly measure yourself to find your (correct) size and body type. When you plan to do online clothes shopping, a measuring tape is your most important tool. Start with a plan, even if it isn't very specific. Try to stay focused on the women's clothes you want today, whether that's a new jacket or a new fitted black satin jacket. Unless you're short on time, allow for some browsing; you may just find something you didn't realize you needed. Don't settle for the first thing you find. With the wide variety of women's plus size clothing available online, it's worth it to look around until you find the clothes that really suit you. Then try them on in the comfort and privacy of your own home. The perfect women's clothes are out there somewhere, so start shopping! ﻿Remember, there is no online store that require your birthday or social security number. These are not necessary when making a purchase online. NEVER, EVER buy anything online using your credit card from a site that doesn't have SSL (secure sockets layer) encryption installed—at the very least. You'll know if the site has SSL because the URL for the site will start with HTTPS:// (instead of just HTTP://). An icon of a locked padlock will appear, typically in the status bar at the bottom of your web browser, or right next to the URL in the address bar. It depends on your browser. It's important to protect against malware with regular updates to whatever anti-virus program you are using.